Electroforming is the process of electrodepositing metal on to a mould, mandrel, resin or wax, in order to make a free-standing metal item which is called an electroform. BJS offers electroforming in Copper, Silver, Nickel and Fine Gold. 1. Electrodepositing metal directly on to a metal mandrel, where after depositing the metal the metal mandrel is removed either by physical separation (stainless steel mandrel) or by being dissolved away (aluminium mandrel). No metalising is required as the mandrel surface is conductive. This produces 3-Dimensional metal electroforms. 2. Electrodepositing metal on to rubber (RTV) moulds or plastic moulds where the surface is metalised and the metal deposits on top of the conductive metalised film. When sufficient metal has been deposited, the mould is pulled away from the mould, to leave a free-standing metal electroform. This produces complicated sheets of metals that can be considered to be nearly 3-Dimensional. 3. Electrodepositing metal on to waxes which are first metalised and then electrodeposited on top of the conductive metalised film. When sufficient metal has been deposited the wax is melted out to leave a hollow, free-standing, metal electroform. This produces 3-Dimensional metal electroforms. 4. Electrodepositing metal on to inert materials eg 2 part epoxy resin or acrylic shapes, where the inert material’s surface is metalised and electroformed on the conductive metalised film. The inert material is left in as a support for the generally very thin metal electroformed deposit. This produces 3-Dimensional metal electroforms. BJS is always happy to advise on the most suitable method of electroforming to make your product. The basic process is the same for all electroformed metals eg gold, silver, copper, nickel where by using the Laws of Physics, the weight and the average thickness of the metal being deposited can be calculated as a function of the electrical current passed through the solution for a given amount of time. All BJS’ electroforming is computer controlled to ensure accurate deposition and consistency from electroform-to-electroforms and from batch-to-batch. 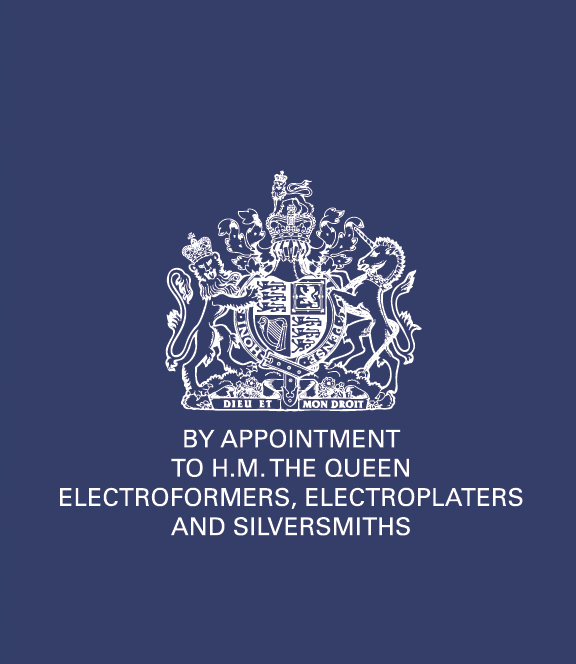 The process of electroforming was first practiced in 1840, initially to produce artefacts and printing plates and so was originally called “electrotyping”. By the turn of the 20th Century the demand for artefacts had greatly diminished and there were few products being made using the electroforming process. Whilst decorative electroforming may have disappeared, World War II did encourage some production of nickel electroformed tooling. 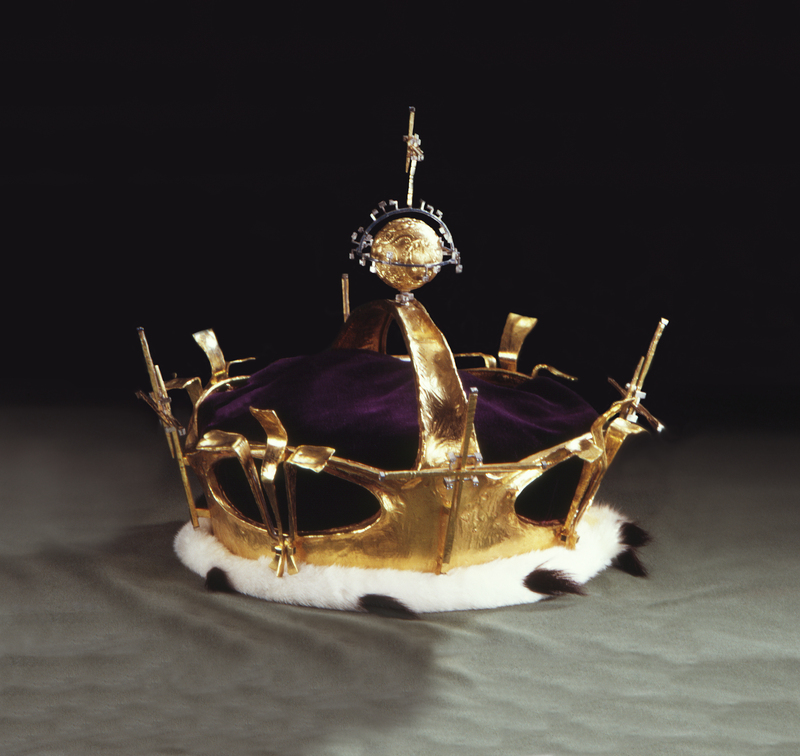 In the 1960’s BJS involvement in the electroforming of Prince Charles’ Coronet initiated an in-house development programme of precious metal electroforming.